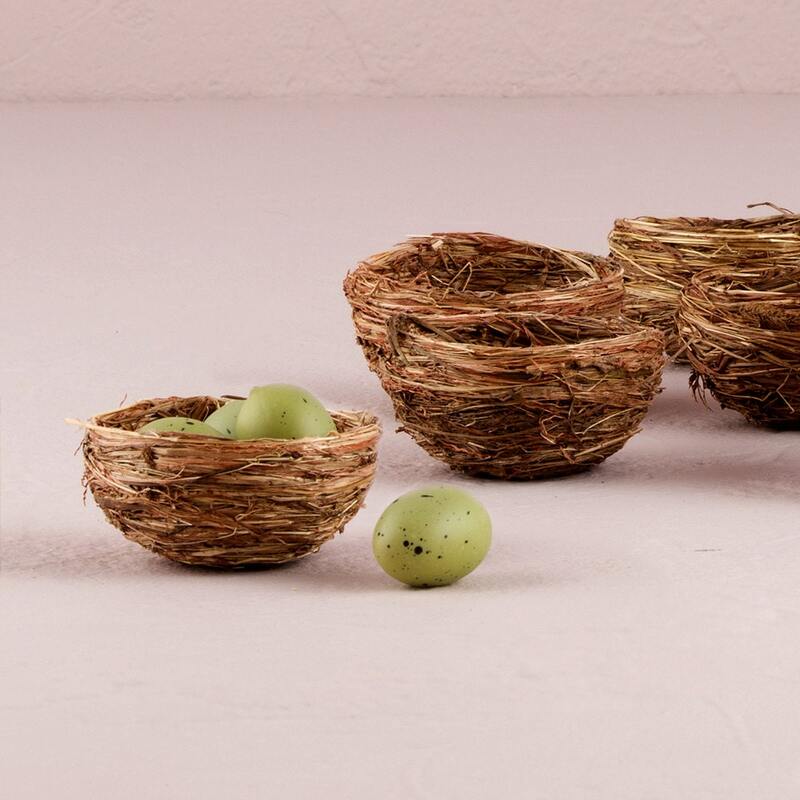 4 Miniature bird nests for creating your own party favors for weddings, bridal showers, baby showers, and luncheon and event party favors. 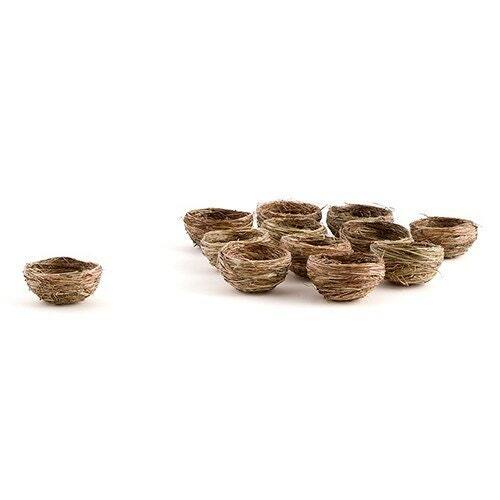 You can combine these miniature natural birds nests with your decorative "eggs" and ribbon for a creative favor or decoration. 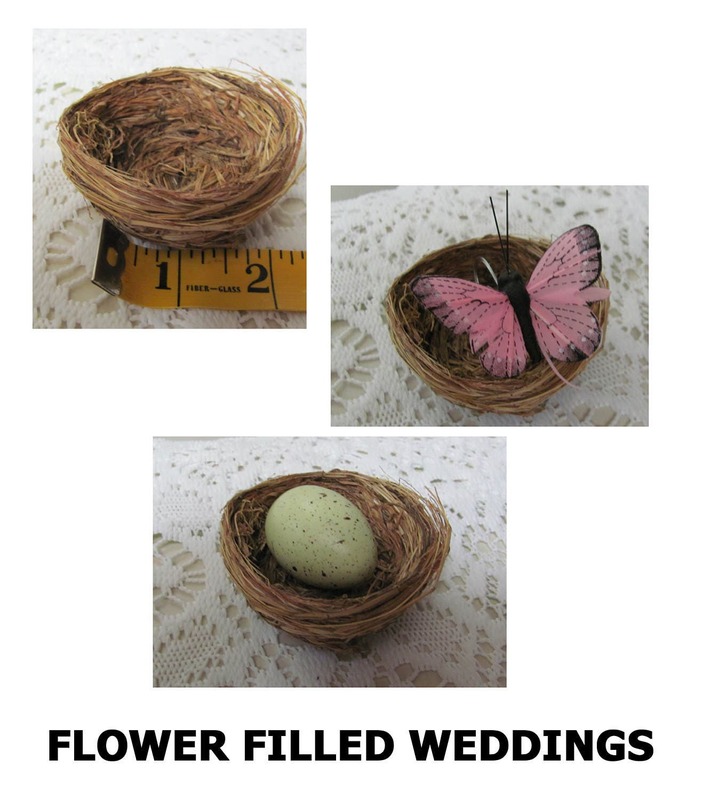 Top of next measures about 2.5 inches across. 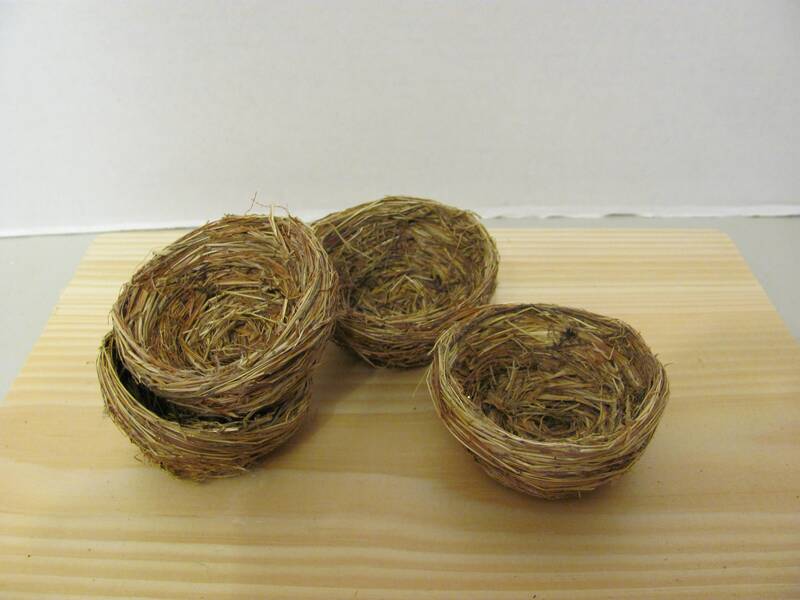 Please note Nests only. Contents not included.